We are a well-known parcel delivery services company and offer door-to-door, secure, and cost-effective solutions for e-Commerce and parcel deliveries within the country. Our wide range of product and service offerings are tailor-made to meet the client's requirements. In addition to this, our delivery experts handle all your products carefully and deliver them on time. With our automated tracking system in place, it becomes extremely convenient to track shipments and facilitate smooth pick-up and delivery management. DTDC Express Limited – India’s largest parcel delivery network. DTDC Express Ltd. was founded in 1990 and has more than 25 years of operating experience, with presence in over 10,000 locations. 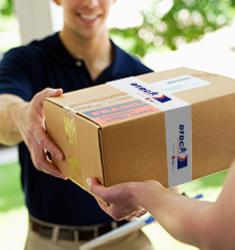 We are a strategic partner of DPD Group, an International Parcel Delivery Services Company, owned by GeoPost. Building enduring and close ties with the customers is our priority, and we pride ourselves in offering a broad range of services to our esteemed patrons. We have an efficient team of employees and associates whose hard work and dedication have not only helped us emerge as an internationally recognized courier service provider and but also have been instrumental in creating a strong value system that is palpable in our work culture and services.